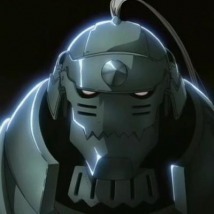 Al. . Wallpaper and background images in the Alphonse Elric club tagged: alphonse al elric. This Alphonse Elric photo contains armet. There might also be hombrera, almohadilla para el hombro, pectoral, auspicios, egis, peto, égida, aegis, basinet, and basurero.